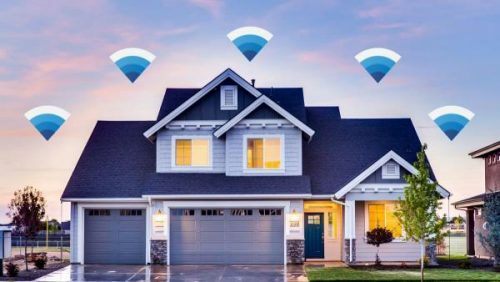 Data Wire Solutions unveils New Mesh Wireless Network installation, enabling businesses and large homes to have the opportunity to either upgrade their old fashioned wireless network or install a better option altogether. The new mesh wireless network comes at a slightly lower cost mainly because it doesn’t require wires. For residences and business premises that have been experiencing uneven network distribution, this new mesh wireless network is meant to change that. With this launch, users will be able to enjoy a strong, clear signal from any room or location of the premises. This is because the new mesh wireless network can cover wider areas. Data Wire Solutions has professional technicians with extensive experience who will be tasked with the installation process. While deciding to offer the new mesh wireless network, Data Wire Solutions wanted to help businesses and homeowners to enjoy a more convenient and faster internet connection. They also wanted clients to enjoy a flexible network solution which would easily be downsized or expanded without necessarily having to interfere with the owner’s daily routines. If someone decides that a particular section no longer needs to be connected due to any reason whatsoever, their technicians will remove the extra nodes in that section without disrupting their daily schedule. When it’s an extension required, the technicians will increase the nodes as well without turning your premises into a workshop. Also, Data Wire Solutions introduced the new mesh network with quality in mind. When it comes to the quality of a network, there are factors to consider, including speed, security, maintenance and clarity of a signal. Their new network installation addresses all these issues. In case of a network break down, the user will not be inconvenienced. If one device fails, the rest will still have access to a connection as the other devices pick the signal from another device bypassing the faulty one. Data Wire Solutions understand that poor uneven signal is detrimental to businesses because they depend on real-time communication. This is why they have brought a dependable solution to help businesses and homeowners to run with minimum technical hitches. Many different kinds of IoT devices require an uninterrupted network connection, and the newly introduced mesh network will make sure that all the devices have high-quality, stable communication.